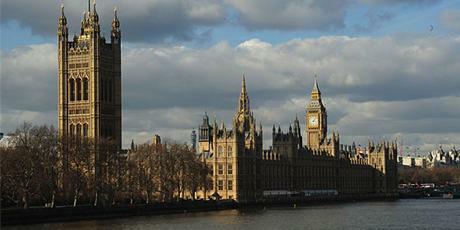 Why have MPs watered down the APPG reforms? The latest set of recommendations on greater financial transparency for All Party Parliamentary Groups will go some way to tackling the worst abuses but they just don’t go far enough. More needs to be done beyond just “opening the books”. What is clear to me is that transparency is the right way to go and those APPGs that offer a valuable service in legitimately connecting a wide range of interest groups with Parliament have nothing to fear from this. There are many organisations, such residents’ associations, consumer groups and small businesses, as well as individuals, such as those who have been let down by financial services companies, who cannot afford expensive lobbyists and PR firms but have as much right to speak to MPs as those with deep pockets. The Equitable Life scandal was a good example of how APPGs create access to policymakers for those who would otherwise be disenfranchised. In an ideal world MPs would run such groups themselves. You could argue that if they are sufficiently interested in a topic they could get together, set-up a group and invite people to come and meet that group. This isn’t going to happen for a variety of reasons. Probably top of the list is that MPs (even more so Peers) simply do not have the administrative resources to take on something like this. We underfund our Parliamentary representatives and expect them to do far too much with very limited resources. They also do not have the depth and range of contacts with an industry that an organisation that is part of that industry has. So, you inevitably end up with external support for groups. The challenge is to stop that being provided by firms, trade associations or lobbyists pressing just a narrow range of views on the relevant issues. The answer lies in a major overhaul of the rules. This overhaul was proposed by a working party set up by the Speaker of the House of Commons last year and which was chaired by Jack Straw. Its recommendations went alot further than the limited financial transparency now suggested by the Standards Committee. I don’t really know why the Standrads Committee was wasting its time on this when there was already a very good report waiting to be debated – and implemented. The cynical journalist in me might suggest that Mr Straw’s group’s recommendations were abit too scary for some of those inside and outside Parliament who have manipulated the APPG system and that the job of the Standards Committee has been to water them down: it has certainly been successful in that regard. the portcullis should not be used by APGs on reports, websites, or correspondence to ensure APGs are not confused with official Parliamentary Committees and every APG report should carry a statement that the group is not an official Parliamentary body. • A mechanism for independent review of any decision by a group to limit access to its meetings should be set-up. The point about Associate Parliamentary Groups is important. These allow external members, often on payment of a subscription, and to my mind are responsible for alot of the confusion and suspicion surrounding APPGs. It is interesting to see that the recommendation in Mr Straw’s report that this status should be abolished finds no place in the proposals from the Standards Committee. We need reform and we need it it urgently if the work that the best APPGs do is not to be discredited further. The Standards Committee’s recommendations are a start but I would urge everyone with an interest in this to ask why Jack Straw’s report has apparently been buried. « Time for Parliament to move on – how about Stratford?